The Rave Green was re-introduced to Seattle with the expansion of Major League Soccer (MLS) in 2007. Seattle Sounders FC has set MLS records for average attendance, led the league in season ticket sales, and qualified for the MLS Cup Playoffs in each of their first nine seasons. Top named players for Sounders FC include Clint Dempsey, U.S. Men’s National Team veteran, and Nico Lodeiro, 2016 MLS Newcomer of the Year. 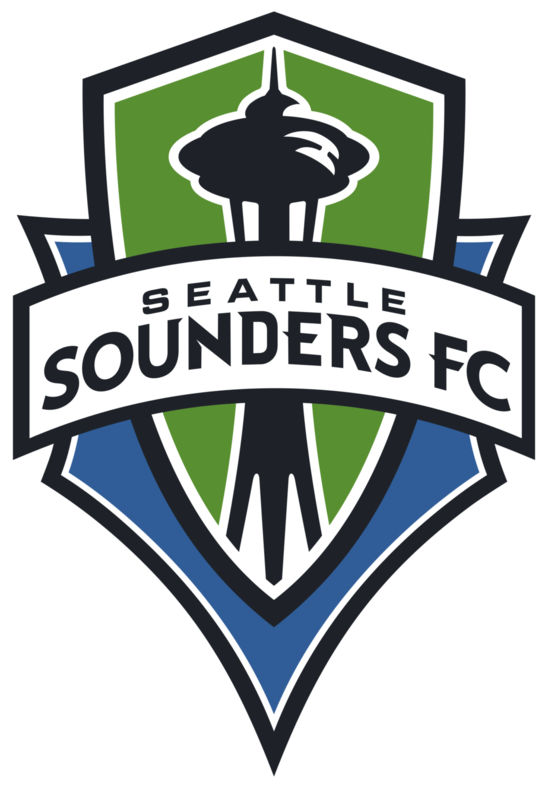 After nearly a decade in Seattle, Sounders FC has won the Lamar U.S. Open Cup four times (2009, 2010, 2011, and 2014), the 2014 Supporters’ Shield, and the 2016 MLS Cup. The team went to back-to-back MLS Cups in 2016 and 2017, after winning the Western Conference Championship both seasons. Sounders FC games at CenturyLink Field are packed; Rave Green fans have set single-game attendance records three times, the most recent in 2013, when 67,385 fans showed up to watch them play the Portland Timbers. In addition, Sounders FC lead the MLS in average attendance with an average of 44,038 spectators at their matches. 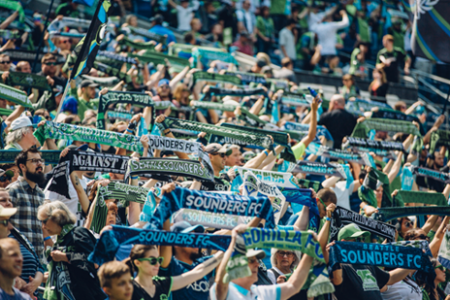 To bring the stadium and fans to life, Sounders FC is supported by the “Sound Wave”, a 53-member marching band to help set the pace and atmosphere of a Rave Green soccer match. 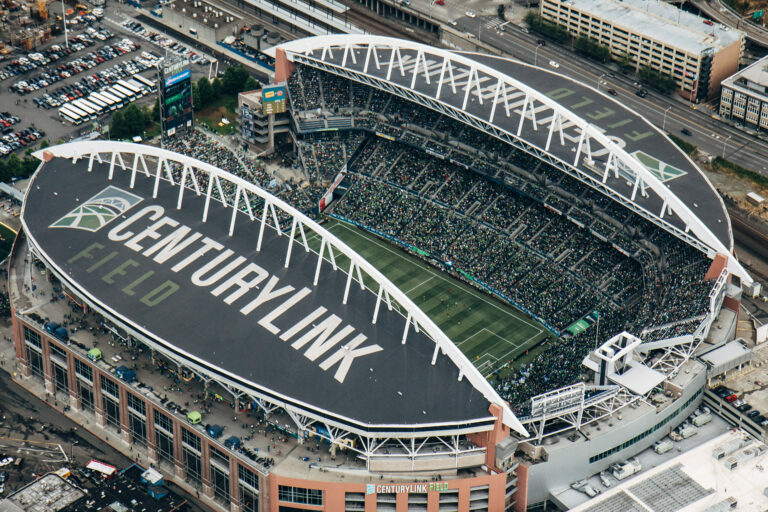 In addition to hosting Sounders FC matches, CenturyLink has also hosted major MLS events. In 2009, the stadium was the site of the MLS Cup; and in 2010 and 2011, the stadium hosted the tournament finals for the U.S. Open Cup which resulted in back-to-back Sounders FC victories. Bringing in one of the largest turnouts the U.S. has ever had in a qualifying round and creating an electrifying and unforgettable experience to over 40,000 spectators, CenturyLink hosted the U.S. Men’s National Team’s 2-0 World Cup victory match against Panama in June 2013.